The early spring has also meant that we can get back to trail restoration projects. 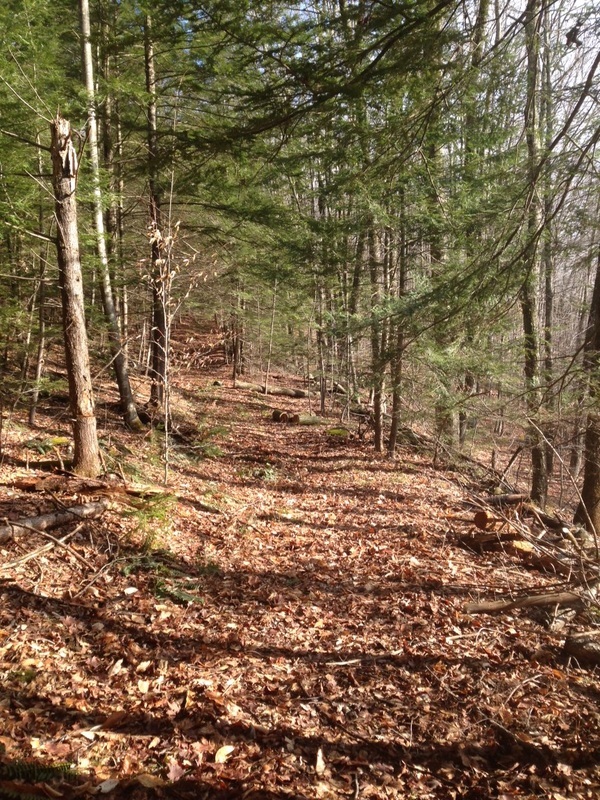 It is amazing how a few years of relatively benign neglect can begin to obscure a wonderful trail. 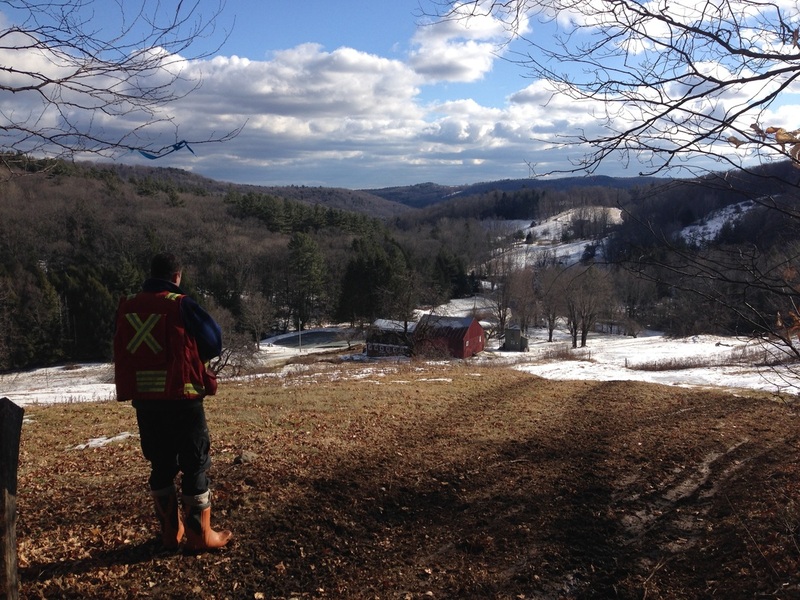 On this project in Guilford, Andy designed an extensive trail network over a decade ago. Now, Tom and Marshall have brought it back to life with a few hours of focused labor. 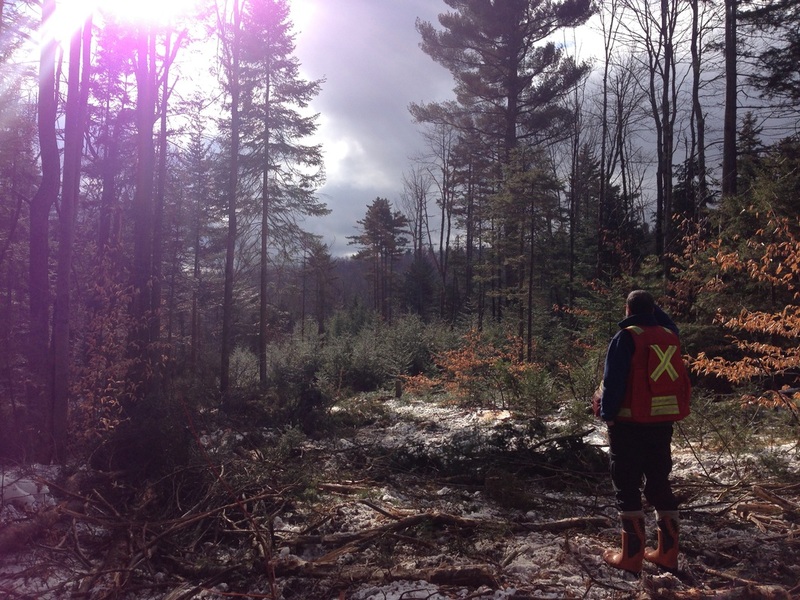 ​In places where a larger scale timber harvest isn't yet warranted, woodland stewards often invest in timber stand improvement work on their land- with a variety of goals. 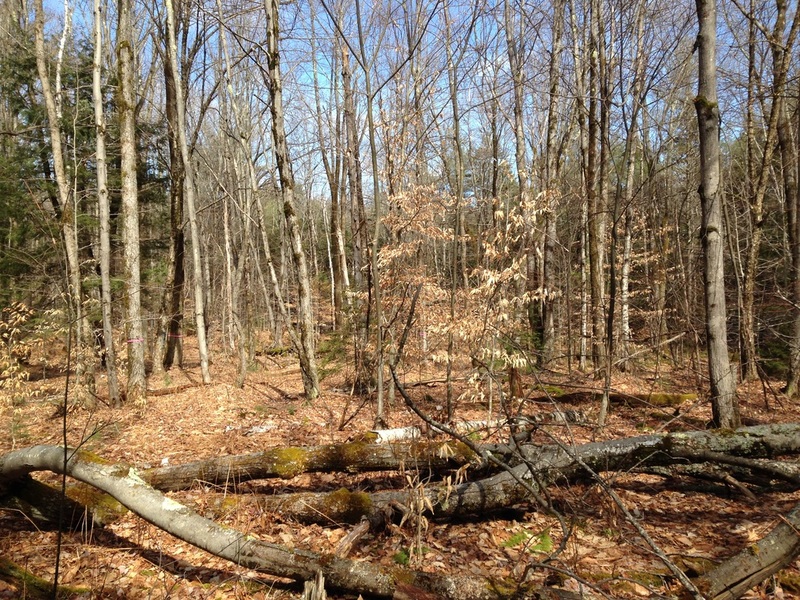 Before: Trees in this densely stocked area are intensely competing with each other. 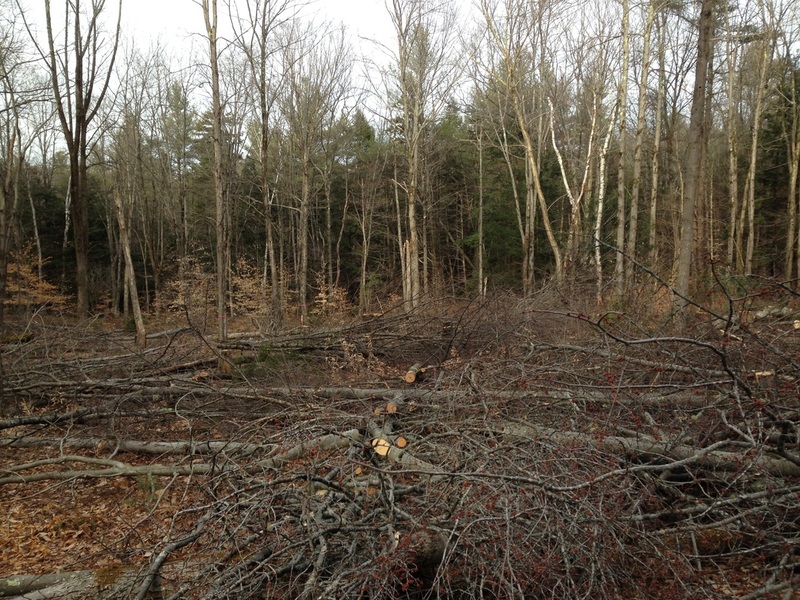 ​After: The best stems (mostly red oak in this case) are identified and then we cut their more poorly formed, yet still competing neigbors to give the best trees a competitive advantage. 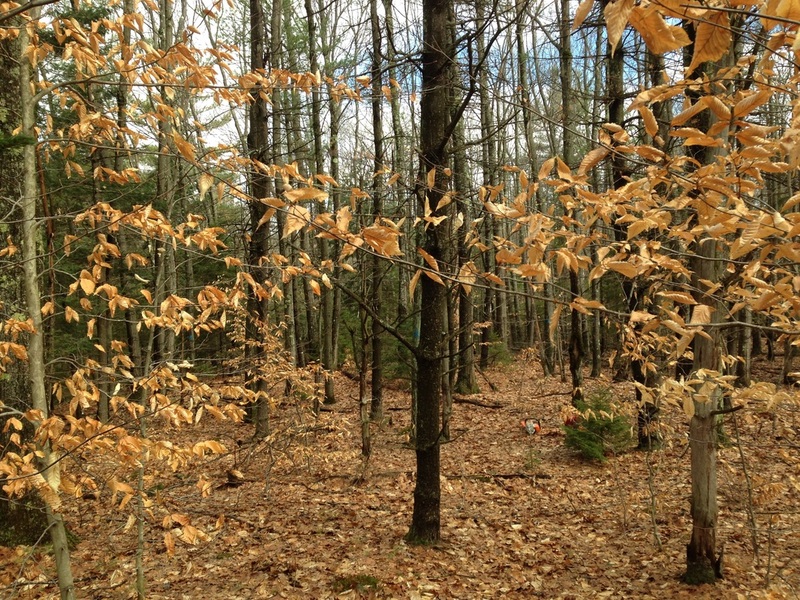 ​Before: An area of poorly formed stems in a relatively homogenous forest. Pink ribbons mark well-formed trees that will remain to form the edge of the gap. 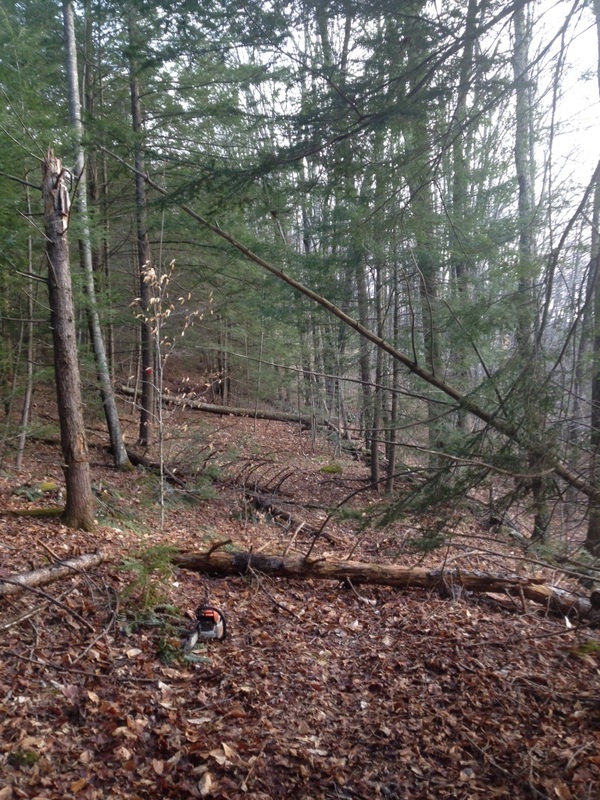 ​After: a small group of these poorly formed stems are all cut, to create a wildlife opening which diversifies forest structure, creates edge habitat, begins a regeneration process, and gives the landowner the chance to grow better trees where before there were only trees with low to no future commercial growth potential. The thin snowpack has meant that Team Forestry has been cruising away in the woods. Here are some fun photos from this past week. 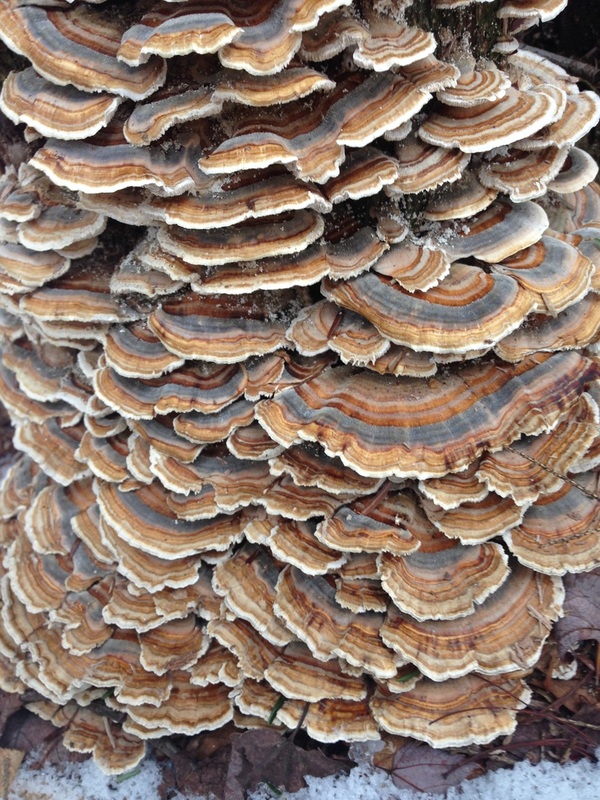 An amazing turkey tail mushroom- up close and personal. Marking a harvest in Westminster, we came upon this old "bumper tree" from a harvest many years ago. 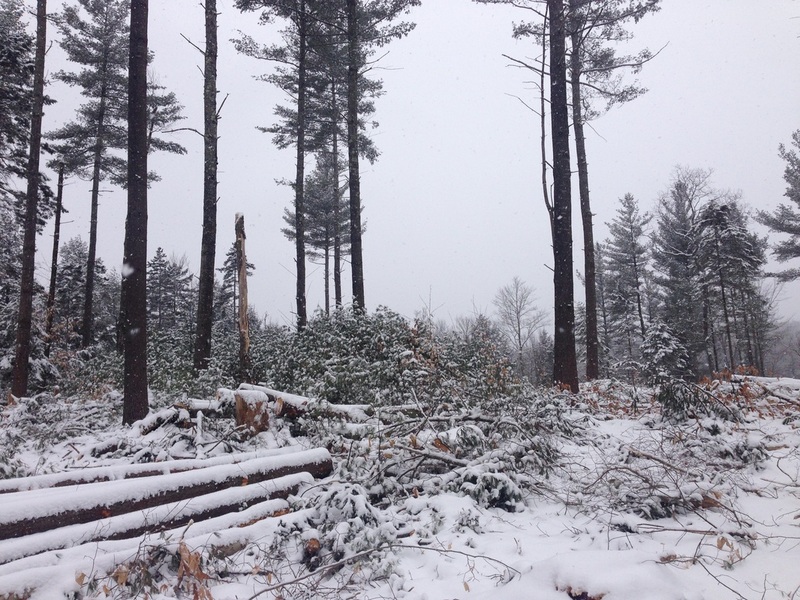 As logs jounce along behind a skidder, bumper trees serve to keep them in line and protect other trees. 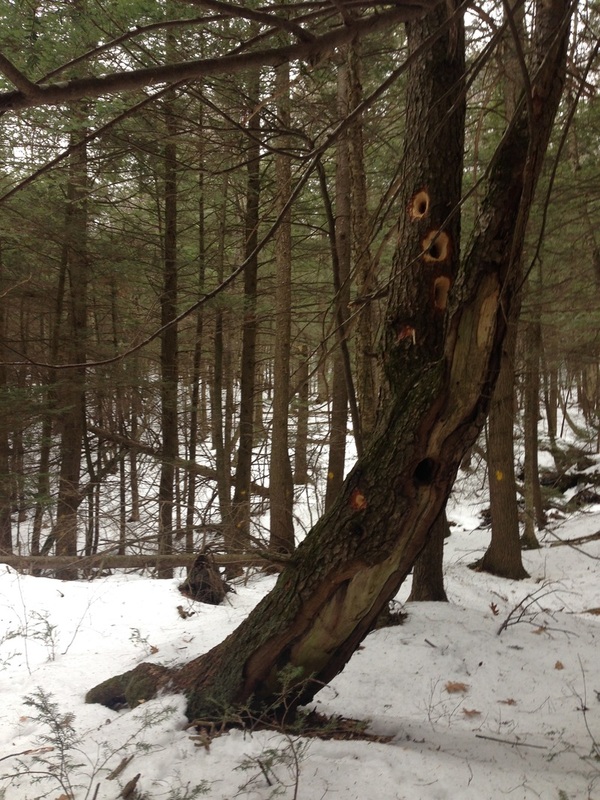 In this case, the damage led to rot which led to insects which led to pileated woodpeckers working away. 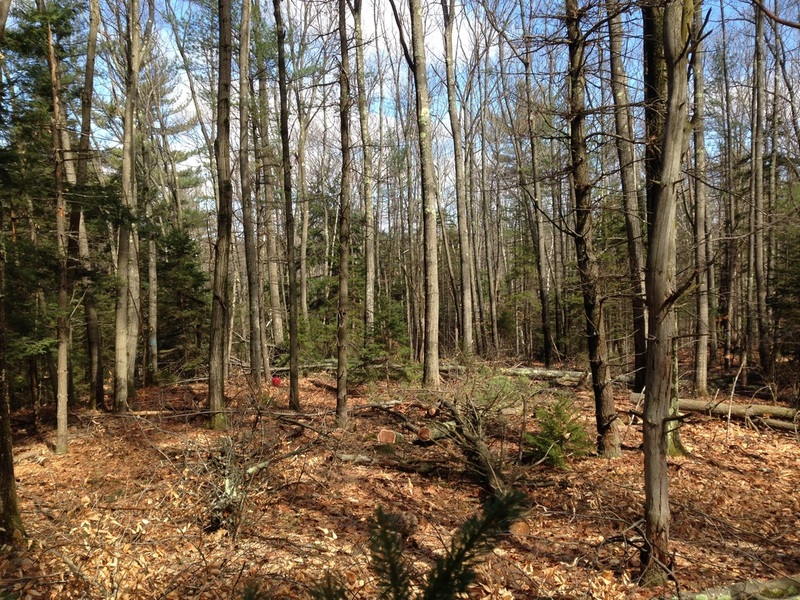 There is lots of white pine regeneration under this canopy of white pines on an excellent white pine site in Andover. 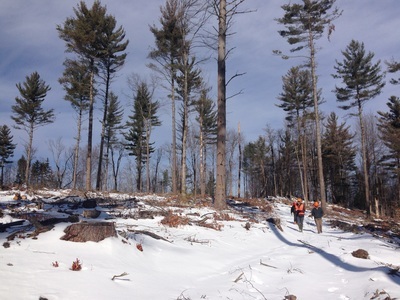 Next step- thinning the thousands of small pines to let the best grow bigger faster sooner- it is kind of like weeding carrots and will be done by a skilled operator with a brush saw.